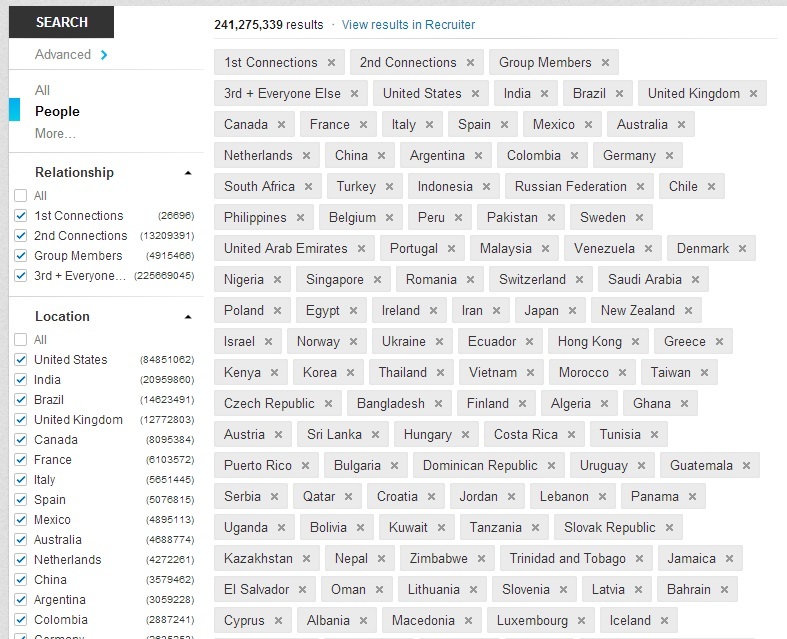 I was able to do a search (today, 11/15/2013) and see the LinkedIn member numbers by country for all the major countries, the ones with a code abbreviation. Hi, I found the numbers quite interesting, so took things a step further and compared them to the countries population to get a percentage of the population that are LinkedIn. That’s an amazing linkedin search result! Congrats! Very interesting, Irina. I’m wondering how representative these numbers are of the employable populations and those with access to modern web access. For example, anecdotally, I was told by someone from the UK that the overall employable population in the UK is 30M, and this is obviously a country that has easy access to the internet unlike some non-western countries. LinkedIn is the single best professional network in existence, and I would never suggest somebody “drop” LinkedIn. But, I’m finding some people seem to think it’s more ubiquitous than it actually is. 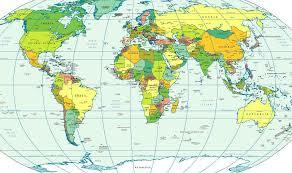 The very same search brings up море people if run in LI Recruiter. (Interestingly, in Recruiter I am able to switch to “all locations” and still see the results – without adding keywords.